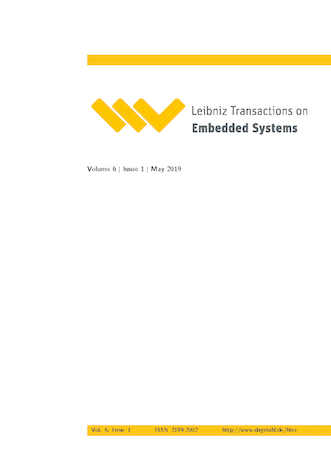 LITES publishes original articles on all aspects of embedded computer systems according to the principles of OpenAccess. Aims. LITES aims at the publication of high-quality scholarly articles, ensuring efficient submission, reviewing, and publishing procedures. All articles are published open access, i.e., accessible online without any costs. The rights are retained by the author(s). Scope. LITES publishes original articles on all aspects of embedded computer systems, in particular: the design, the implementation, the verification, and the testing of embedded hardware and software systems; the theoretical foundations; single-core, multi-processor, and networked architectures and their energy consumption and predictability properties; reliability and fault tolerance; security properties; and on applications in the avionics, the automotive, the telecommunication, the medical, and the production domains. Preference is given to original articles. Survey articles and special issues from conferences may be considered for publication.